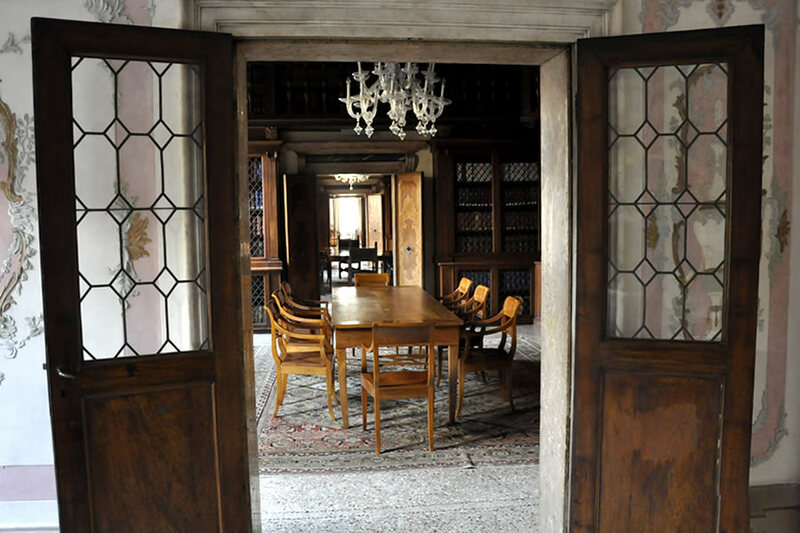 The Sala del Caminetto ends the row of rooms making up the historic library on the piano nobile of the Palazzo Loredan. 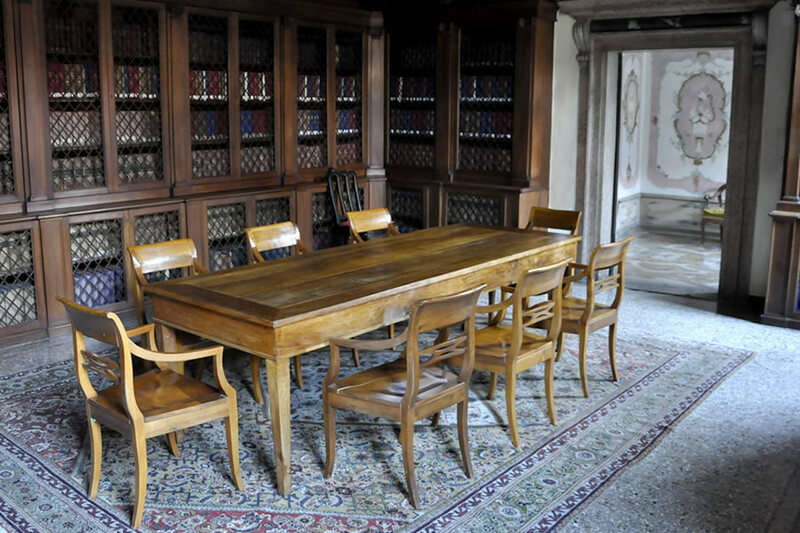 Surrounded by antique book collections, it has a 19th-century table in the middle that can host a meeting of up to ten people. A painting by Traiano Chitarin, Joyful Dawn on Mount Grappa hangs above the marble fireplace. 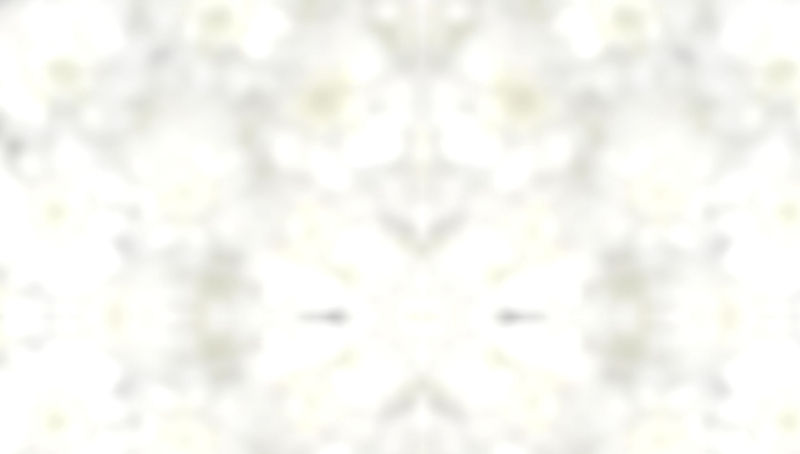 The 18th-century doors, the floor in Venetian terrazzo and big Murano chandelier that is one of the most precious in the building complete the room’s historic furnishings. 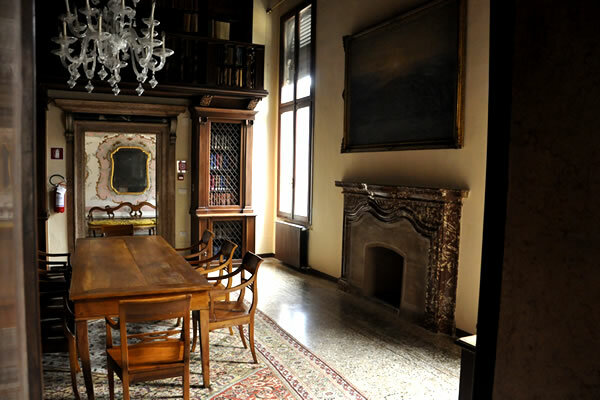 The Sala del Caminetto was once used as Contessa Loredan’s bedroom. 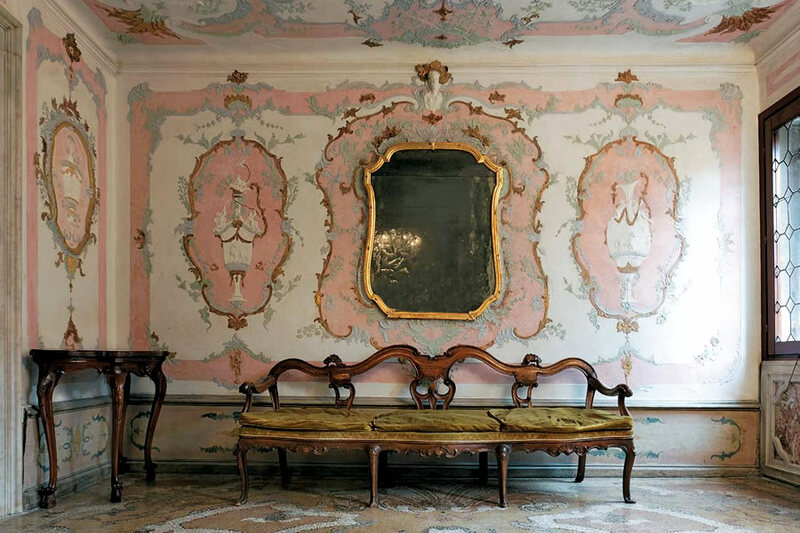 The side door leads to the boudoir, rich in stuccoes and original frescoes attributed to Giuseppe Ferrari.